Doug Mientkiewicz has been hired as the 2018 manager of the Tigers' Triple-A affiliate Toledo Mud Hens. The 43-year-old was born in Toledo and raised in Florida. 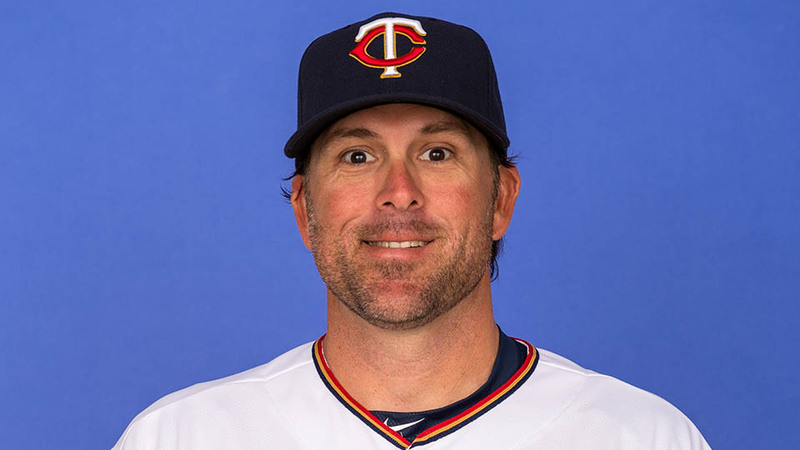 He most recently served in 2017 as manager of the Fort Myers Miracle, the Minnesota Twins' Class-A Advanced affiliate. He has led his teams to the postseason in four of the last five seasons, 2013, 2014 and 2017 with Fort Myers and in 2015 to the Southern League Championship with Class-AA Chattanooga. Mientkiewicz played at Florida State University before his 12-year MLB playing career between 1998 and 2009 (Minnesota, 1998-2004, Boston, 2004, NY Mets, 2005, Kansas City, 2006, NY Yankees, 2007, Pittsburgh, 2008, LA Dodgers, 2009). He was primarily a first baseman in the majors, winning the 2001 AL Gold Glove Award. Mientkiewicz finished his Major League career as a .271 hitter with 66 home runs and 405 RBI. Mientkiewicz is one of only five American players to win both a World Series Championship and an Olympic gold medal -- in 2004, with the Red Sox when the team swept the Cardinals, breaking the 86-year curse of the Bambino, and in 2000 with Team USA in Sydney. "We're very excited to add Doug Mientkiewicz to the Tigers organization as the new manager at Triple A Toledo," said Dave Littlefield, Detroit Tigers Vice President of Player Development. "After a 12-year Major League playing career, Mientkiewicz has transitioned into a successful manager at the Minor League level, leading his teams to the postseason in four of the last five seasons. We're confident that Doug will bring his strong player development background and winning mentality with him to Toledo." Mientkiewicz becomes the seventh person to manage the Mud Hens at Fifth Third Field and the 55th in Toledo baseball history. "It's great to have Doug take over as manager with his vast playing and coaching experience," says Erik Ibsen, Toledo Mud Hens Executive Vice President and General Manager. "Plus, with his Toledo roots, he has an instant connection with our community and fans." Mientkiewicz replaces Mike Rojas, who managed the Mud Hens to a 70-71 record in 2017. The Mud Hens open the 2018 season at Louisville on Friday, April 6, with Opening Day at Fifth Third Field on Thursday, April 12 against Pawtucket.